Greek coffee (Or Turkish coffee, or Cypriot coffee, this style got around) is nothing like espresso. The coffee beans are ground to a powder, and cooked in a simple pot with sugar. 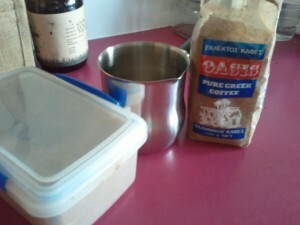 I learnt how to make this coffee from my grandparents, who migrated to Australia from Kythera. The ratio my grandmother uses is one teaspoon each of coffee and sugar and per person (and however much water you need to fill the cups you plan to use). Place the pot (or briki) onto the stove, and bring to the boil. Try not to let it overflow onto the stovetop, which it does fairly easily. Taking it off the heat as it comes to the boil, and placing it back on the flame once it has cooled a little once or twice also helps ensure that you get the most from the pulverised coffee. If you take milk with yours, add the milk after the coffee has been brought to the boil the first time. Boiling the milk in with the coffee and sugar gives it a richer flavour, much better than just adding the milk once the coffee is already in the cup. 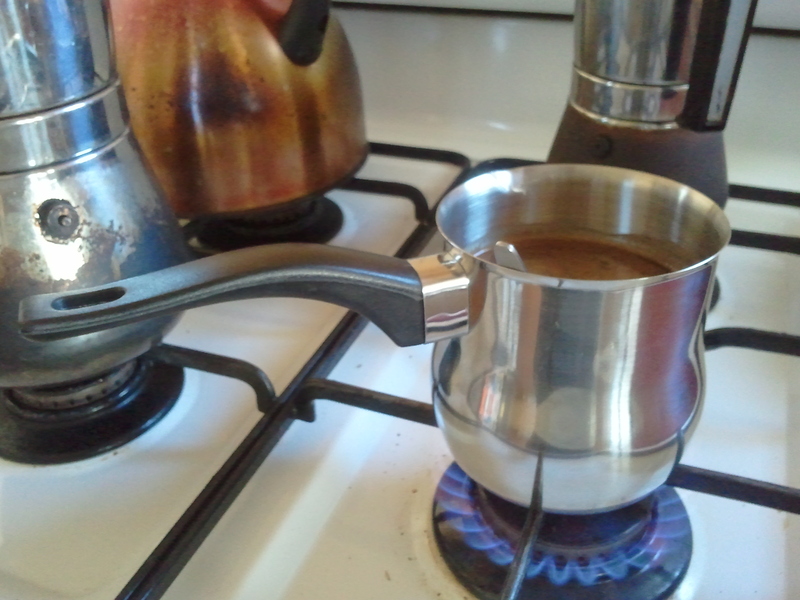 It is very easy to make Greek coffee strong. A tablespoon, rather than a teaspoon, per person is an experience unto itself. Also, don’t drain the cup to the dregs when drinking, as there is a layer of sediment at the bottom which tastes as good as a sandy slap in the face. When you only have ten invites for a new social network, to whom on Earth do you give them? It is an interesting question, and in a way, unintentionally similar to another shiny new tech thing, Path, which limits you to 50 connections. 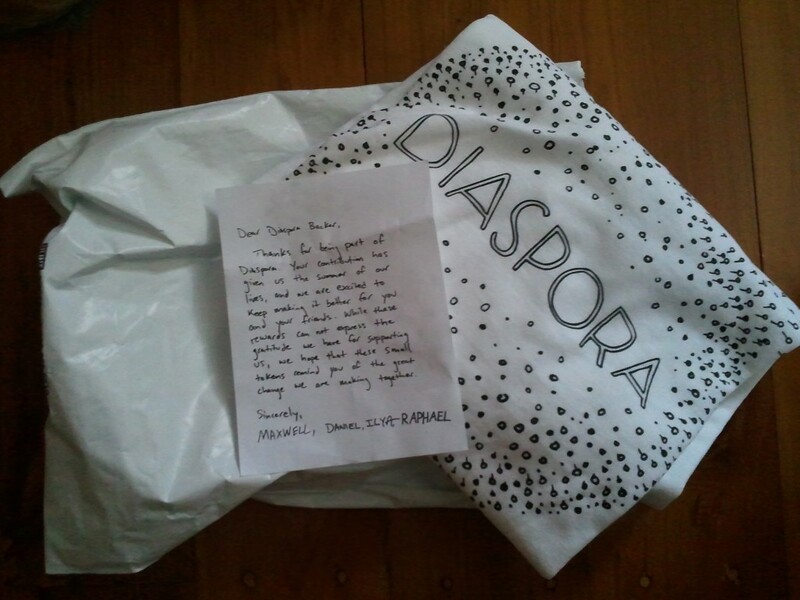 This week I got my Diaspora t-shirt, as part of my backer’s rewards. A few days later I also got my Alpha invite. With the 10 invites. Diaspora is not limiting its users to just 50 connections, or even to just the ten that they give you invites for. Understandably as it is in Alpha, they are limiting scale, at least until things move forward some more. Whatever the reasons, I am still left on the wrong side of the network effect and with the question of whom to give one of the ten invites. Populated by purported ‘social media gurus’ or bored IT staff. That’s it. Early adopters can find their immediate circle of friends. That guy who made primary school miserable for you wants to become your friend. Ignoring your coworkers’ friend requests becomes harder to sustain. Boomers are commenting on their kids’ party photos, thanks to friends tagging them. Traditional media is reporting on all of those off-colour pages your profile links to, as funny as they were at the time. Obviously I would want to give them to people I already interact with, and of course I would like to give them to people who would actually use them, but who are they? It is like Google Wave all over again. Not everyone even looked at it after they cemented their geek cred by acquiring an invite. In the Diaspora Alpha, you can manage your updates by groups called ‘Aspects’, post photos and even publicise your own content through Facebook, Twitter and, even more cool, as an RSS feed. Comments on photos and posts are there, as is the ability to reshare posts across aspects after publication. I am interested in seeing if doing this makes all comments visible too, but unfortunately I can’t test that right now. The Diaspora Alpha looks cool too.